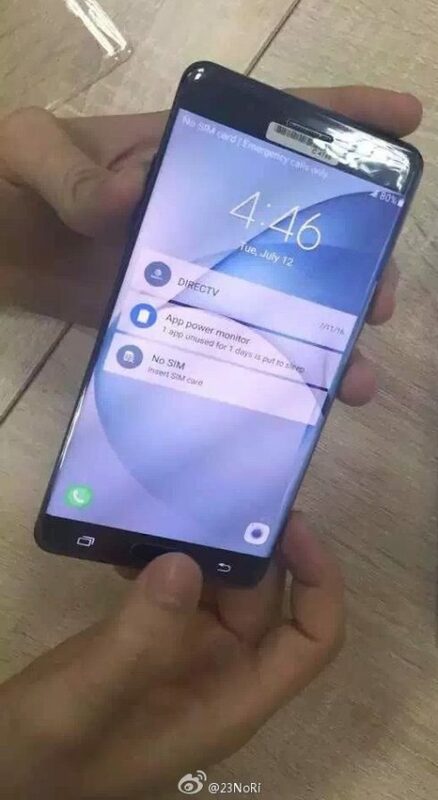 Samsung Galaxy Note 7 has been confirmed for launch on August 2nd in New York, courtesy of Samsung’s Unpacked teaser. In the meantime we scored more hands on leaks, the ones below showing the device’s rounded aesthetics from all angles, plus the iris scanner in action. We knew the Note 7 would be rounded, but no THAT rounded. It actually reminds me of the iPhone concept from a few years go, that one would only describe as “cylindrical”. This means it has curves everywhere: at the top and bottom, on the sides of the screen (curved Edge screen) and at the sides of the back. Depending on the size and placement of the metal frame, this may or may not look like a cylinder. 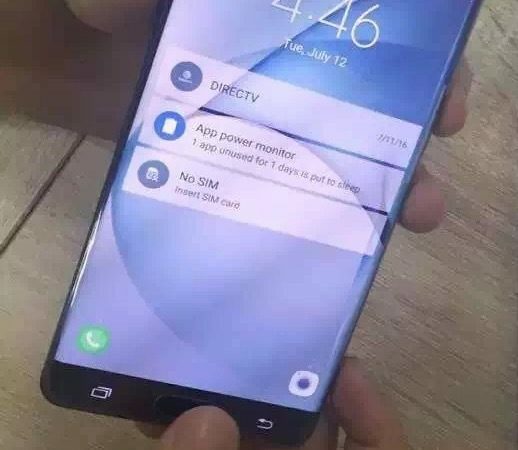 These shots all leaked on Weibo and also seem to show newer and more compact icons for the new TouchWiz. Now as far as the iris scanner goes, that one will be operated via the UI shown below. 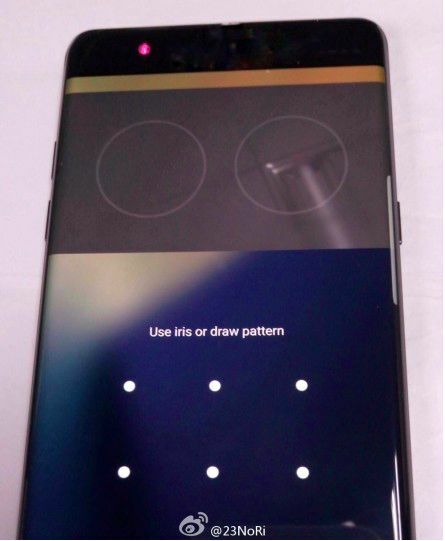 The device will let you unlock it using your iris pattern (unique for every human) and you’ll have to place your eyes to face the two circles on the screen. A PIN will offer backup security for this authentication method.